Infoga is a tool for gathering e-mail accounts information from different public sources (search engines, pgp key servers). 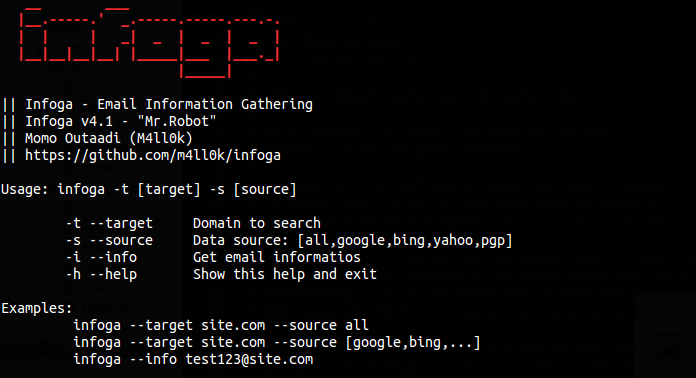 Is a really simple tool, but very effective for the early stages of a penetration test or just to know the visibility of your company in the Internet. Thanks to our friend Momo Outaadi (M4ll0k), for sharing this tool with us.